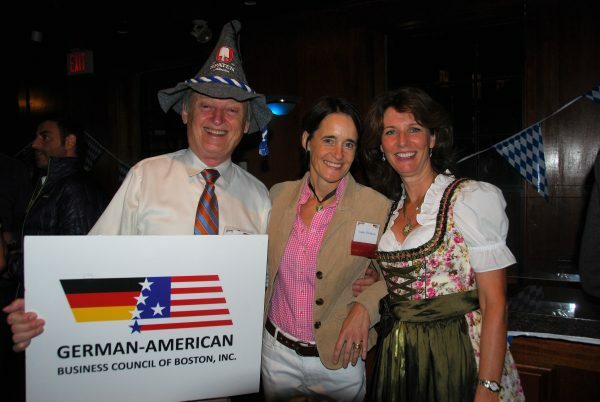 It’s a tradition we didn’t want to miss at the GABC: Oans, zwoa, drei – this year’s celebration was at The Point, one of Boston’s coolest traditional pubs which may have nothing to do with Oktoberfest or Germany, but boy, did we bring Bavarian cheer and beer to one of Boston’s colonial cornerstones! 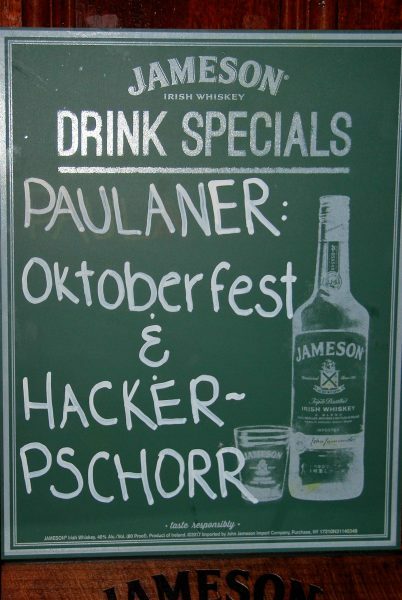 Paulaner Oktoberfest and Hacker-Pschorr beers were both on tap (and enjoyed greatly) at the bar of the private room upstairs where we made sure the Bavarian blue and white colors were flying. 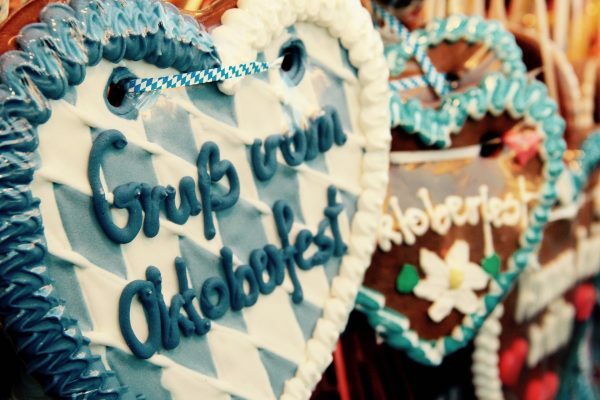 Guests in Dirndl and Lederhosen were spotted and the music set to the Oktoberfest station. And yes, besides the sausages, potatoes and vegetables for dinner, there were “Brezen” as well, homemade ones no less. Great evening for fun, socializing and yes, networking! 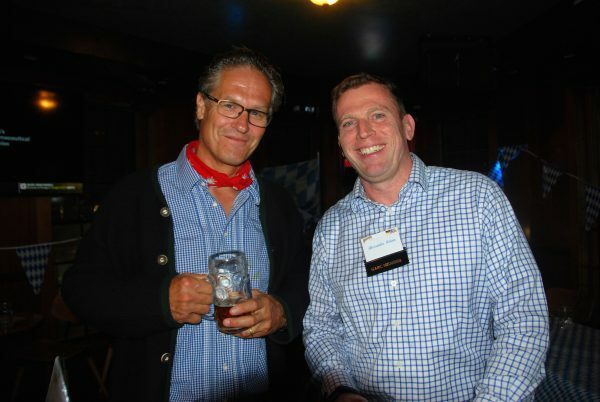 Our friends from Lufthansa and United enjoying a beer. 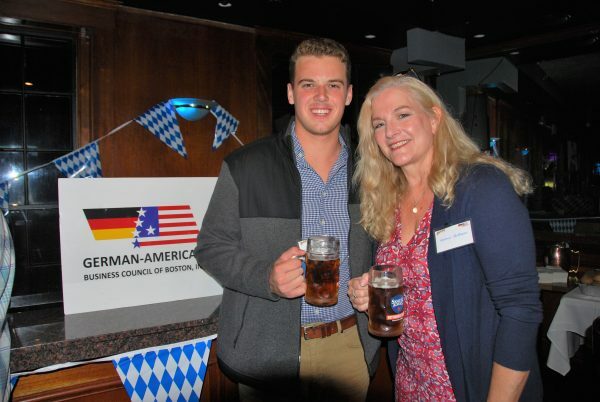 Oktoberfest beer on tap — everyone was happy! Our past executive director (right) and current executive director (middle) enjoying a moment together with the best-hat-dressed guest of the evening. How many can go in one hand? A lot! 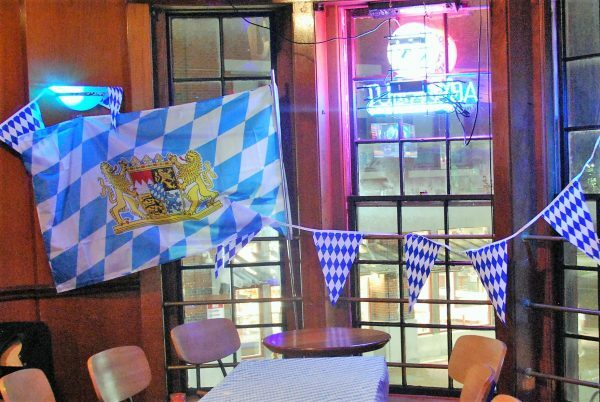 Bavarian colors (and flag) flying at The Point.